Does Iran Really Want to be a Nuclear Power? Is a Nuclear Program Necessary to Generate Electrical Power? Would Iran's Nuclear Program Threaten Only Israel? Is it Dangerous to Draw 'Red Line' on Iran's Nuclear Development? Would a Military Invasion be the Only Way to Stop Iran? Does Iran Believe it Could Win a Nuclear War? 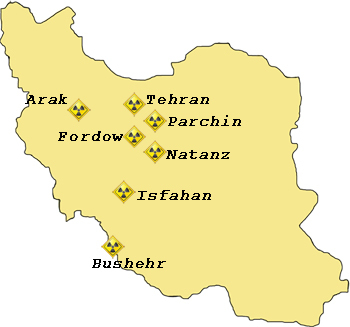 Since the discovery of Iran's covert nuclear program, the international community - led by the P5+1 - has used diplomacy and negotiations to try and convince Iran to end the project. While negotations have produced few results up to this point, the hope remains that a diplomatic agreement will forestall the need to impose harsher sanctions or pursue a military option to stop Iran from developing a nuclear bomb. Many theories abound for why Iran will never fulfill threats to use a nuclear bomb. But do any of these theories hold water? Futhermore, if Iran reaches the nuclear threshhold, would it even need to actually use a nuclear weapon to influence events in the Middle East? The time is rapidly approaching when dramatic steps beyond diplomacy - such as a last resort military strike - may be the only way to halt Iran's nuclear progress. Besides the basic desire to avoid war, however, a number of factors mitigate against a military operation. In the event of a military confrontation between Iran, Israel or any other Middle Eastern nation, what could we expect the potential battlefield to look like? Find detailed information on the military prowess of every country in the region featuring a breakdown by air, land and naval forces. From short-range rockets to long-range ballistic missiles, the Islamic Republic already possesses one of the largest and most advanced missile arsenals in the Middle East. Find detailed reports - including range, payload, status, and overview - on Iran's arsenal. While the immediate focus of international attention has been on stopping Iran from obtaining nuclear weapons, equally worrisome is the stimulated regional race for nuclear power. Already, at least 12 other Muslim countries has announced plans to explore nuclear energy. The proliferation of rockets and ballistic missiles across the Middle East has forced Israel to strengthen its active anti-missile technology. In response, Israel has created a multi-layered missile defense apparatus considered one of the most advanced in the world.